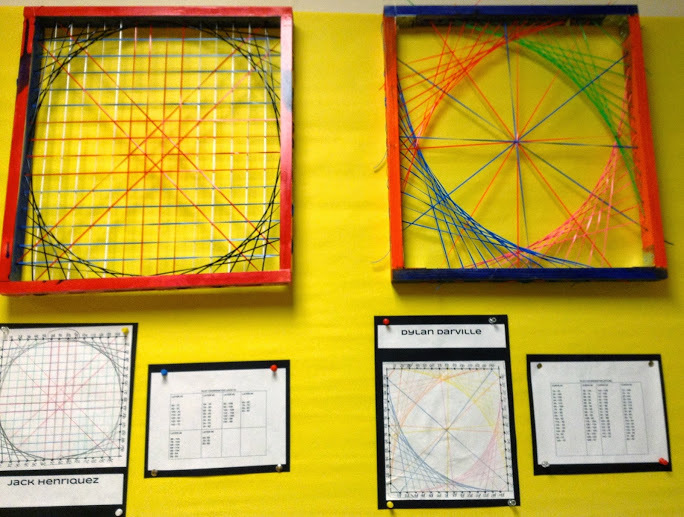 These beautiful works of MArTH (or MArt, as their creators like to call them) were made by the 5th grade students in Julia Dweck’s math class. 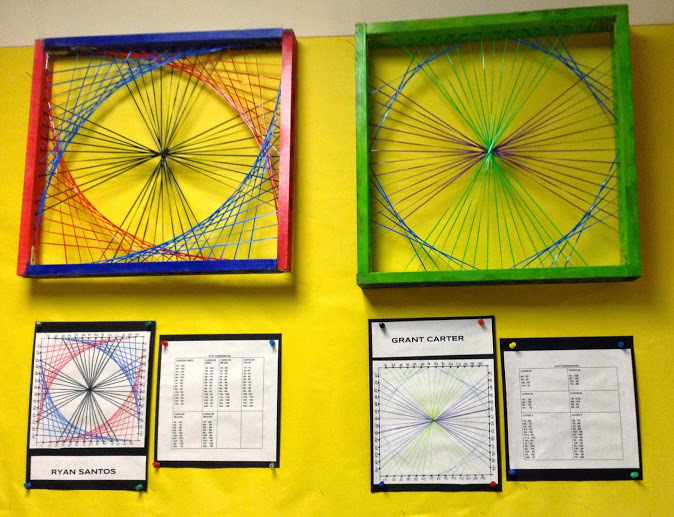 They made every aspect of the artwork– from sanding, varnishing, constructing the frames to using math to plot the lines that would turn into curves. 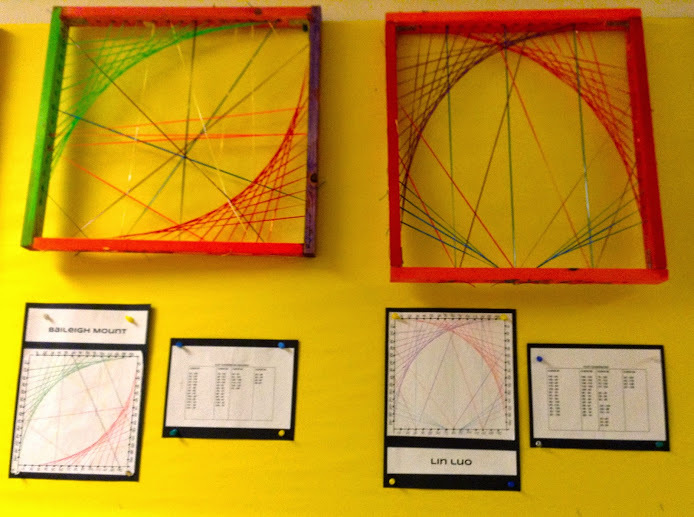 The images you see, made from straight lines of string, are called parabolic curves. See how many straight lines come together to make a curve? Julia and her students hope that these works of MArt inspire others to make MArt of their own! 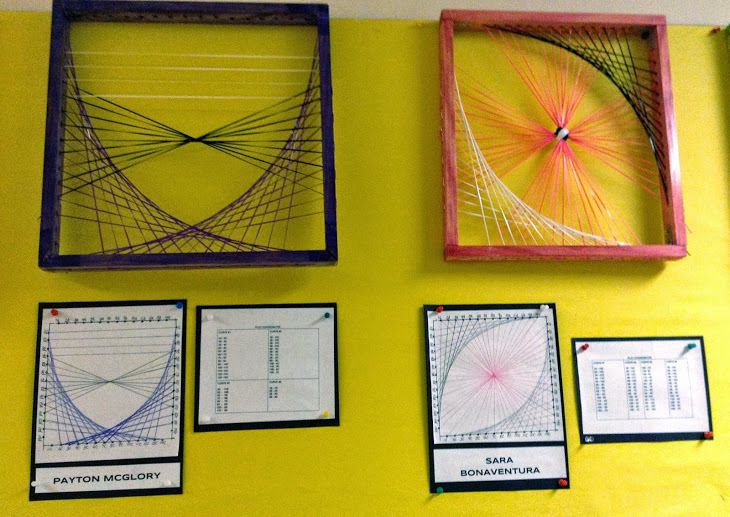 I am just getting ready to teach my fourth graders how to do this on paper and would love to be able to let them do it with the string. 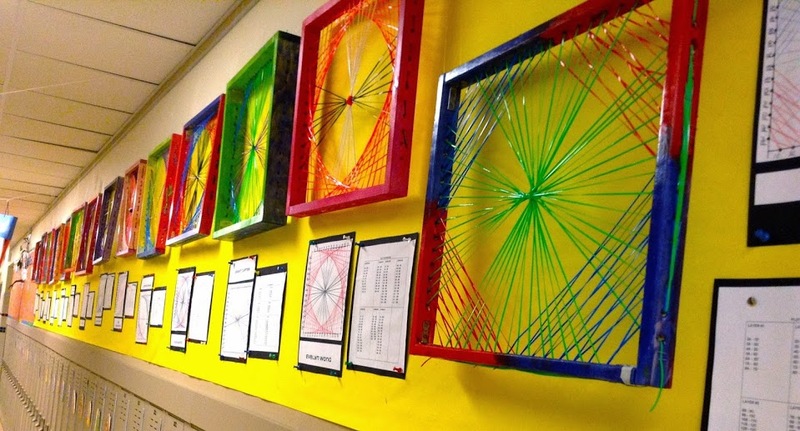 Please tell me the process you used to create the lovely string art! Hi, Pam! That’s great! Send me an email at mathmunchteam@gmail.com and I’ll put you in touch with Julia. She loves working with other teachers– I’m sure she’d give you instructions. I just stumbled onto this website, thank you mtbos!!! I would also love to know more information. 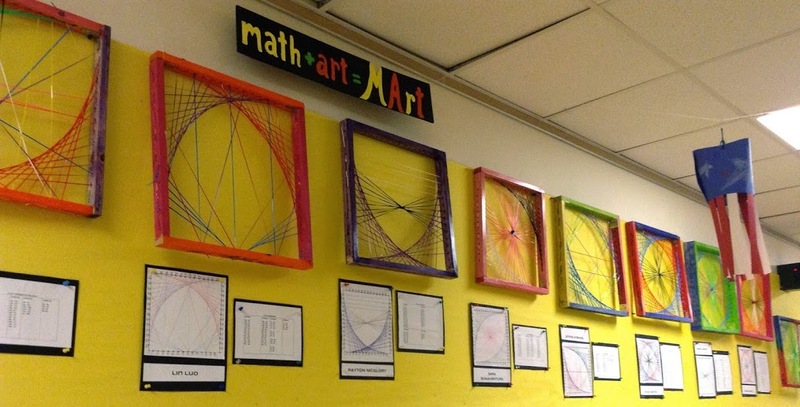 I know several of my students who would love to do this for an enrichment project! Love it! Beautiful! My elementary enrichment students did something similar in the past. 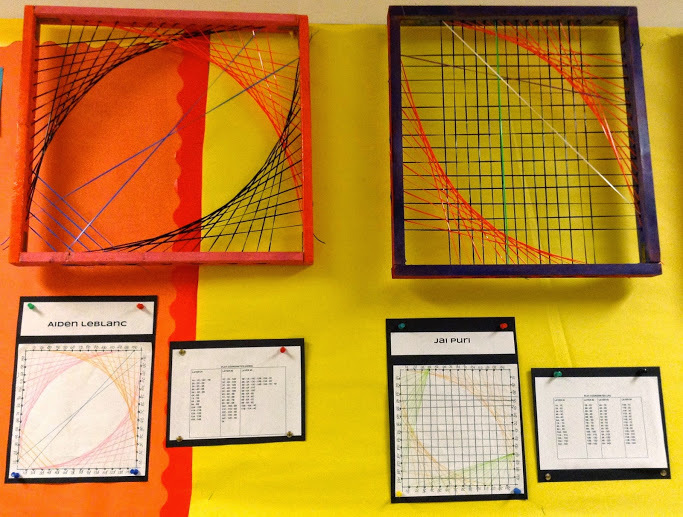 We then went “3-d” by covering an open photocopy paper box with graph paper, poking holes at regular intervals along segments on the graph paper and “sewing” colored string back and forth through the interior of the box. Hi, Andrea! That sounds awesome. If you’d like to send some pictures, we could post them on this page. I’d love to see what your students made. Thanks for the comment! Hi, I would love to have my students do this. Can you please tell me what data points are recorded? I don’t see the points well in the pictures. 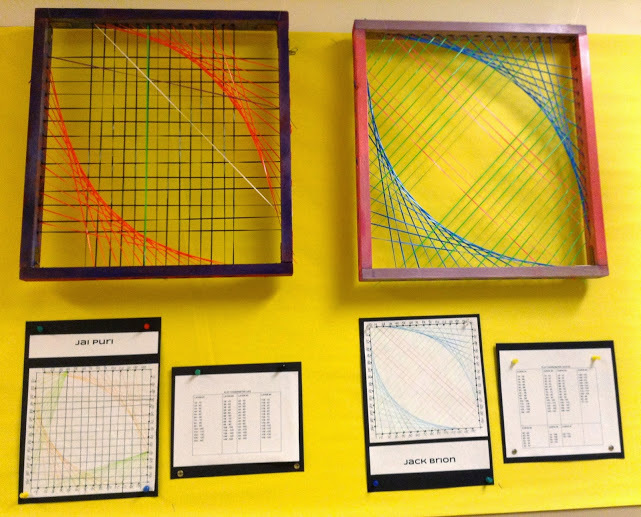 Years ago my elementary enrichment students did a 3-d version of this inside an open copy paper box that had been covered with graph paper on the five available sides. They drew line segments on each side. 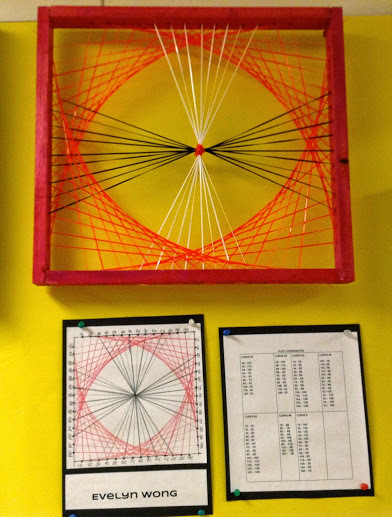 Using the point of a protractor they punched holes along the segments at regular intervals, then used an embroidery floss and a counted cross stitch needle to thread pass the floss through. After satisfied with their designs, they glued construction paper over the outside to hide the work surface. Very neat! Awesome creations! 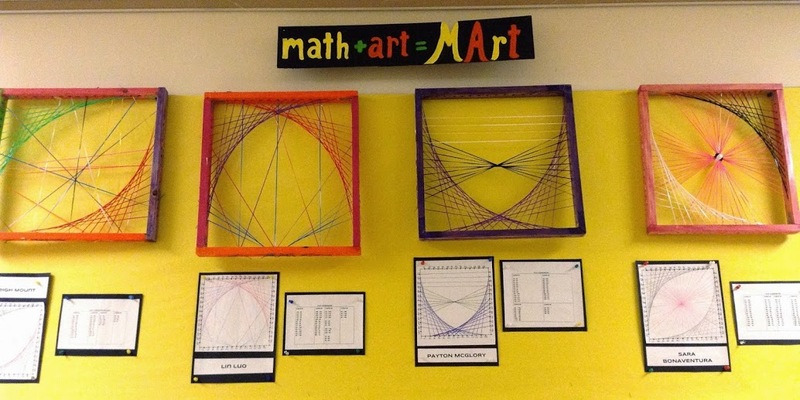 Would love to teach my students on this math with art. Any steps to share?